Dive or snorkel in world renowed Cabo Pulmo National Park – release baby sea turtles – kayak at El Arco and Lovers Beach in Cabo San Lucas – swim with whale sharks – swim with the friendly sea lions of Los Islotes and San Rafaelito, snorkel in some diverse rocky reef habitats, hiking around the hilltops of Balandra Bay, a cultural trip to Todos Santos …. plus the chance of encounters with whales, dolphins, rays, marine birds and other creatures that frequent our region. Can you even begin to imagine experiencing all of these bucket-list adventures in just one wildlife expedition? This is possible on the Baja Peninsular in Mexico, a 1200 kilometer strip of land that separates the Pacific Ocean from the Gulf of California [AKA the Sea of Cortez] in Mexico. This 8 day wildlife expedition will run from November 10 -17, 2018. 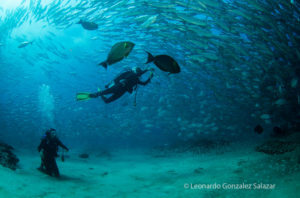 As a result of over 20 years of protection, Cabo Pulmo National Park is abundant with all kinds of marine life and a must-see for any ocean enthusiast visiting the area. It is widely considered one of the most successful community directed marine protected areas globally and a benchmark for sustainable wildlife tourism. Releasing the newly hatched sea turtle babies into the Pacific Ocean after gently assisting them out of their protected nest is a rewarding experience for all. 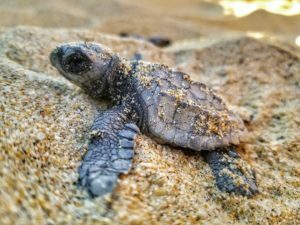 Futhermore, your participation contributes to the daily running costs of this all important sea turtle conservation initiative located on the Pacific shore roughly 20 minutes north of Cabo San Lucas. Half-day kayaking and snorkeling tour to the popular El Arco and Lovers Beach destinations. 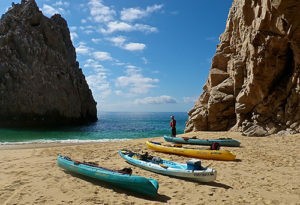 A moderate paddle past the famous El Arco (The Arch) in Cabo San Lucas followed by a snorkel out to Neptune’s Finger, a biodiverse marine oasis only accessible by sea. The whale shark, Rhincodon typus, is the largest living fish/shark species and is categorised as “endangered” on the Internation Union for the Conservation of Nature and Wildlife’s [IUCN’s] red list of threatened species. 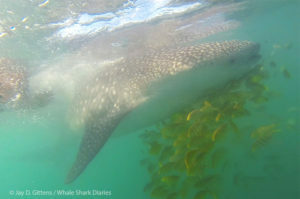 Swimming with these gentle plankton-eating giants is an unforgettable experience and each trip contributes to the conservation of the species through collaborate research, awareness and education. Los Islotes consists of two small islets at the northern end of the Espiritu Santo Archipelago. 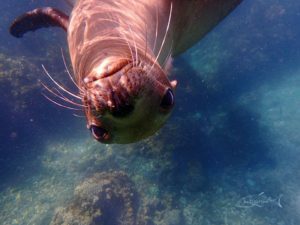 It is home to the areas largest colony of California sea lions, Zalophus californianus. Here you can snorkel with the friendly, inquisitive juveniles whilst exploring the caves, rocky coral and diverse marine life. Our wildlife expedition host, Natalie Lynn, will be escorting a group of expedition participants from her hometown of Chicago on November 9, arriving to San Jose Del Cabo on the 10th. If you are travelling from Chicago or close by, you can join Natalie and the group. Alternatively you can self-arrive to San Jose del Cabo International Airport from anywhere in the world where you will be greeted by one of our team and united with the other guests and Expedition Director at our starting venue.